Category Archives for "Life on the Homestead Column"
Now that we’re in the full grip of Summer here in North America, there’s some things you just shouldn’t be growing until the weather gets a bit cooler. For us in North Carolina, it’s too late to start tomatoes, summer squash, cucumbers and a few other odds and ends. But I’ve still got tons of seeds lying around that I definitely don’t want to throw away. So, I’m going to store them until the Fall season rolls around — or some until next February. The great thing about knowing how to store seeds is you can take advantage of clearance sales. Here’s my favorite methods of seed storage. Try them out and share your ideas in the comments below. I try to put most of my seeds in Mason jars, jelly jars to be specific. It’s the right size to hold most seeds, unless you’re dealing with pounds of cereal grains that you need to put up. I just put them in the jar, screw a lid on, and use a dry erase marker to jot down the variety and date on the top. If I avoid smudging the dry erase marker for a while, then the writing will stay and then when it’s time to reuse the jar, a bit of rubbing alcohol takes it right off. This one is pretty self explanatory: Put seeds in a bag, zip it closed. Label it. If I’m going to be using a seed within a couple of months, I’ll usually just stick it in an envelop with the variety and date on the front. This keeps light away from the seeds and they can be put in a file-folder for later use and better organization. Plastic bins are great for larger amounts of seeds, especially things like grass seed and cereal grains. I’ve got about 10 pounds of blue corn seed stored away in a plastic bin. You can get these at dollar stores, big box stores and more. Just take your seed, dump it in there and close it off. The main thing to remember whenever storing seeds is to keep moisture away from it and keep them in a cool space. Sealed mason jars do a pretty good job of that, as do zipper bags. Plastic bins usually aren’t air tight, but if you keep them away from moisture in a cool dry place (I keep them in a cabinet in a storage room) then you shouldn’t have a problem. The Rodale Institute suggests making a desiccant package from powdered milk, which I’ve never tried. I have used bags of baked sand (take playground sand, put it in a shallow pan, bake it at 250 degrees in your oven for about 3 hours, put the dry sand in a thin, cloth bag, tie it off) to absorb moisture in my plastic bins. Other uses have success storing seeds in freezers for long periods of time, but I’ve never had to keep seeds more than a season or two. The sources suggest allowing your seeds to reach room temperature if you keep them in the freezer before opening the package they’re kept in: It’ll prevent moisture from condensing on the seed. Also, if you keep your seed in the freezer, you’ll have to use airtight methods, like Mason jars or freezer bags. 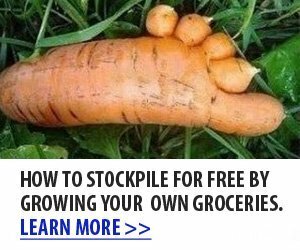 So, now you know how to keep seeds for a minute, go out and get a bunch of vegetable seeds on sale and have them ready and waiting for next season. Enjoy!